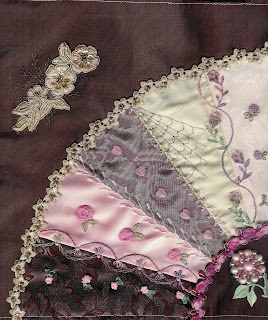 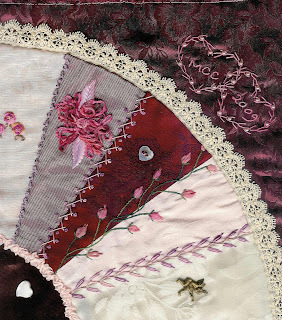 Some major progress has been made on our Valentine Crazy Quilt that we are donating to the MCC sale in April. 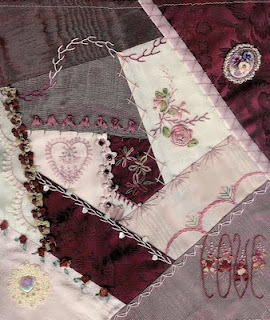 This crazy quilt has 14 small 10 1/2 inch squares surrounding a 20 x 30 inch large big piece. 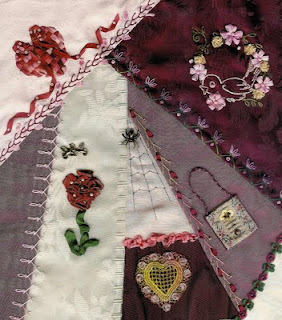 Here are the five finished ones I have and the other squares are still out and about among the 7 of us working on the quilt. 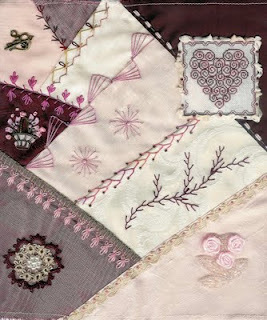 Enjoy the eye candy and I'll keep posting finished squares as I get them.